Utility ROV Services (URS) has won a contract to provide boulder relocation services on the 950MW Moray East offshore wind farm in the Scottish waters. 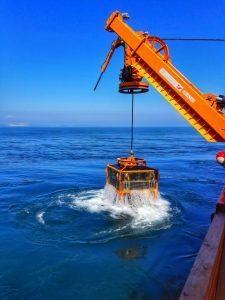 The Fife-headquartered company plans to begin the work in the first quarter of the year using its load bearing ROV system UTROV. “This contract is a welcome start to 2019 for the company, and is the result of the hard work and efforts by the whole team here at URS,”said Patrick Crawford, Managing Director of URS. URS signed an agreement with the Cyprus-based EDT Shipmanagement in March 2018 to provide boulder clearance services to the offshore renewable energy industry by combining resources. Under the deal, URS is delivering the combined services, with EDT providing the DP2 vessel EDT Kennedy, ship management and all associated support relating to the vessel. “Utility ROV were successfully selected through our competitive tender process, and we are pleased to have them onboard as a key supplier in this phase of the Project development,” said Project Director for Moray East, Oscar Diaz. Moray East will feature a 100 of MHI Vestas V164-9.5 MW turbines located 22km from the coast in the Outer Moray Firth zone. The 950MW offshore wind farm is expected to be fully operational in 2022.